I thought I needed to post some random thoughts (more like observations) on a recent rest and recreation trip the wife and I took. Before I begin I need to offer a disclaimer (may I refer you to the name of the website?). I went to a casino. There, I’ve said it. I could insert the phrase “Don’t judge me!” here, but that would be pointless because some of you already have, and the rest of you may before you get to the end of the blog. But, there exists the reality that I could probably use a little judgment in my life (we all could, probably–might be what’s missing in our world today), so I won’t insert that phrase. Go ahead! Judge me! I went to a casino, and it was quite an interesting trip. 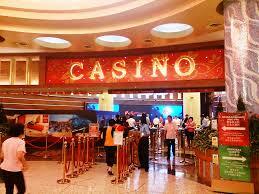 The only time I’ve been to a casino previously was when a church member invited me to a buffet for lunch. He wanted to take me to lunch. That’s where he wanted to eat (something about a military discount). I like food (my favorite food is free food), so I figured if anyone saw the pastor at a casino, at least they’d see me with a church member. I could legitimately call that a ministry opportunity. That trip was a few years ago. This most recent trip was last week. I should also add that I’m not judging those who choose to go to casinos (hint: when someone says they’re not judging, they probably are). I’ve simply made it a practice throughout my adult life not to waste my money in THAT way. I waste it in a lot of other ways, but I figure why waste money on a losing proposition. I mean, really? Where else does a person walk in the door saying, “I’ve got $20 to lose”? I also need to add that I didn’t gamble while I was at the casino. Seriously, how good would it look if someone saw the preacher sitting at a gaming table (like what they call it?) with cards in front of him? Can you see that picture on Facebook? So, how did we get to a casino, anyway? Well, I was invited by a couple who attends the church I pastor to officiate their wedding. It was being held in a Gulf Coast community known for its gaming opportunities. It was the week after Easter (always a good time for pastors to take a little R & R), so Vanessa and I thought we’d go down a few days early since it was a community we’d never spent time in before, and it was on the beach (the beach is my happy place). The only accommodations “on the beach” were the casinos. It wasn’t until after we arrived that we discovered “on the beach” does not mean access to the beach (that’s probably the reason the bell hop looked at us funny when we asked him to put our beach chairs on the luggage cart!). I guess management figures if they allowed access to the beach, people might spend more time on the beach, and the whole point is to keep people in the casino. Not only are the casinos the only properties “on the beach,” but they’re also the most elegant properties in town. We wanted nice accommodations “on the beach,” so we figured, let’s stay at a casino (not to mention I got bonus points on my credit card for booking through their travel site at this casino–take that Dave Ramsey!). Now you know how we ended up at a casino. I find myself wondering if anyone who knew me saw me there, would my presence become a stumbling block to them in their faith, and I also wonder if my writing about it might become a stumbling block, too. Perhaps I’m over-thinking it (Vanessa says I do that), and I should just chalk it up to another experience lived. Who knows? It could even be that I’m hoping to stave off the potential problems that will arise should a picture of me surface on Facebook at some time in the future. I’ll say, “Sure, I wrote a blog about it.” Of course, I could simply say, “I was trying to experience life as my congregation experiences it.” After all, I hear my congregation members saying all the time they went to the casino. I’m just simply trying to share their faith journey. I’m almost certain if Jesus were around today, he’d probably spend time at a casino. There is a lot of brokenness in places like that, you know? I’m sure I’ll get some negative feedback for writing this blog post. I’ll get some folks who’ll say what a bad witness it is for a pastor to be in a casino, and that I should be ashamed of myself for going to such a place. 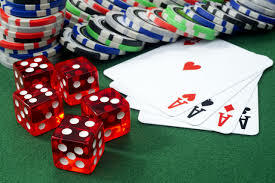 I know all the arguments against gambling, and as a pastor, should my community ever reconsider the possibility of legalized gambling (I’m sorry–gaming), I’ll stand in opposition to it. At least, now, I’ll have some frame of reference from which to legitimately speak.